A Finnish-Norwegian report showed that anticipated volumes on the railway would not cover maintenance costs. A Finnish-Norwegian working group commissioned to investigate the potential of an Arctic Ocean Railway has found that the project would not be commercially viable. 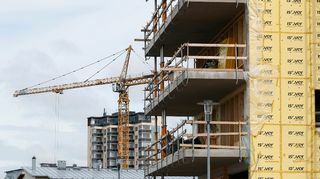 As a result, said it would not promote the rail connection at this point, Finland’s Ministry of Transport and Communications said on Monday. According to the report, annual freight volumes on the rail line between Rovaniemi and Kirkenes in Norway would have to be around 2.5 million tonnes to cover annual maintenance costs. Without significant changes to business in the area or to the costs of different modes of transportation, such volumes cannot be considered realistic, the working group said. Based on previous studies, the railway would mainly be used for transportation of minerals, fish, lumber and forest industry products. No decision on the construction of the railway, or the exact route, has been made in Finland or Norway. Both countries would have to make a political decision to build the line before any planning could start, the report said. A study on the rail connection released by the ministry last year showed the cost of the link would amount to about three billion euros, with Finland bearing two-thirds of the expenses. The indigenous Sámi people have opposed the rail link, fearing it could hurt reindeer herding and ruin their cultural landscape.